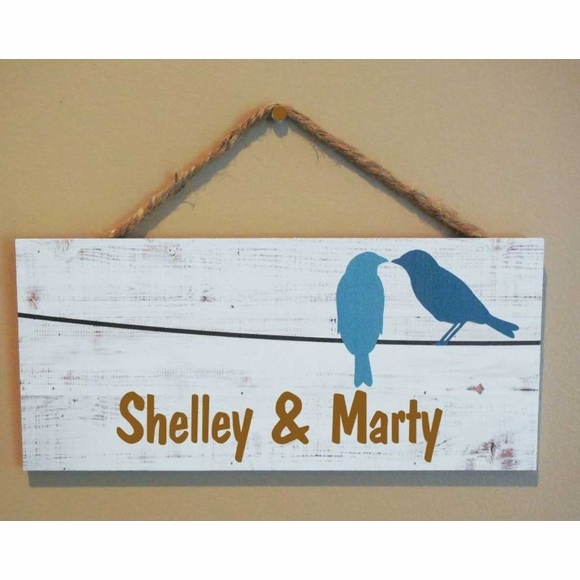 Love Birds Wall Hanging Personalized Gift - - for your husband, wife, partner, boyfriend, or girlfriend. The wording is permanently laser engraved into the faux wood surface: not painted or printed on. This beautiful wall decor plaque is custom made with the names or text you supply and font you pick. Dimensions: 4.5"H x 10"L x 3/4". Includes an attached hanging rope. Enter text exactly as you wish it to appear. 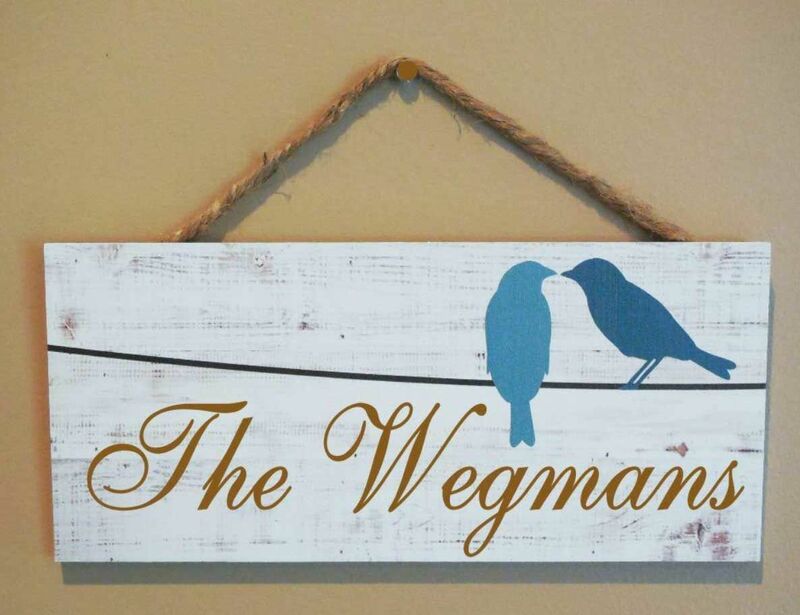 If you would like the name The Wegman's, you must enter The Wegman's. 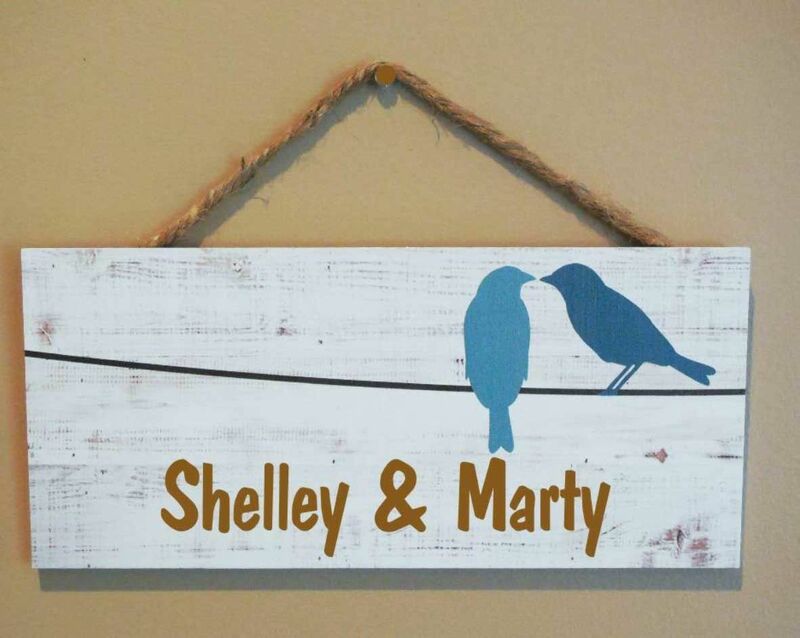 Personalized gift for Engagement, Wedding, Housewarming, Valentine's Day, etc.